Shark Explorers is a Cape Town based diving company that focus on changing people’s perspectives on the oceans’ top predators. Each year we bring in four Island School alumni to become part of our team. We continue to build on the love for ocean life, that was gained while in The Bahamas. The internship program is based on the idea of “Education Through Experience.” The core values and tools that the Island School gives young people to thrive in Eleuthera, are the same values that allow for our interns to openly welcome the adventure and experience of the Shark Explorers Internship Program in Africa. The 21 day program, held in August is full of scuba diving in and around the kelp forest and working as a crew member on the Great White Shark cage diving boat. 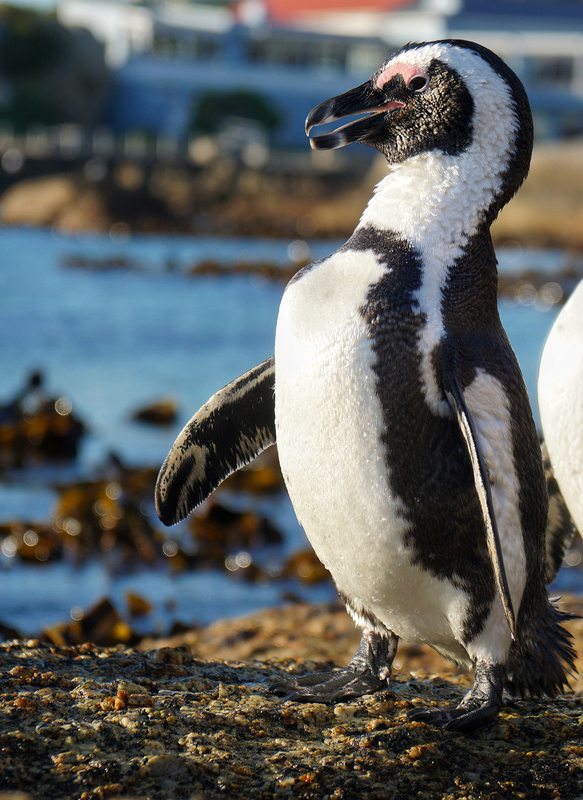 We organize multiple excursions all over Cape Town to take in the sights and sounds of this amazing corner of the globe. For example, one day is spent on a game drive to see the big five land based animals of Africa. The program also includes getting involved with ongoing research as well as supporting some of the top shark scientists and NGOs. 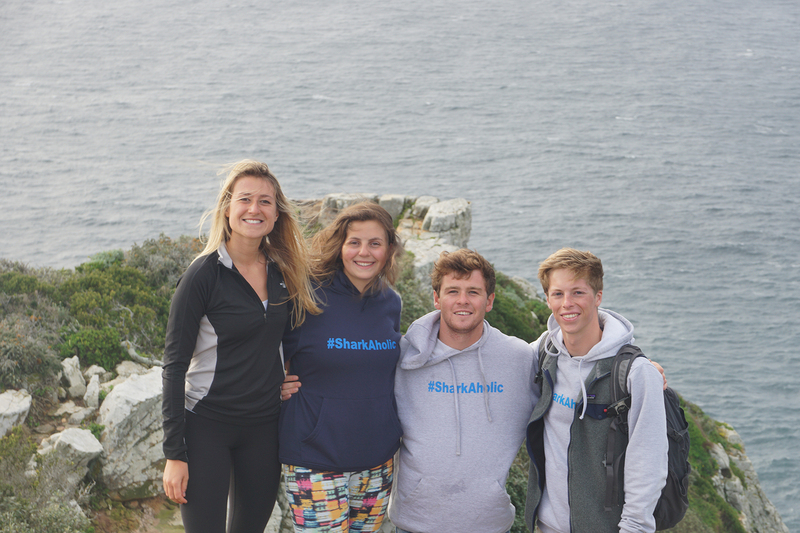 The Shark Explorers Internship strives to be the next stepping stone for those of you that have been inspired by what the Island school has to offer and are enthusiastic to learn more about the ocean. It’s has been nothing short of a pleasure to host our 2016 interns and we can’t wait to take on four more alumni for our 2017 program. For me, the most exciting part about working with Shark Explorers was serving as a crew member on the White Shark cage diving boat and helping out with research done by the Shark Spotters organization. 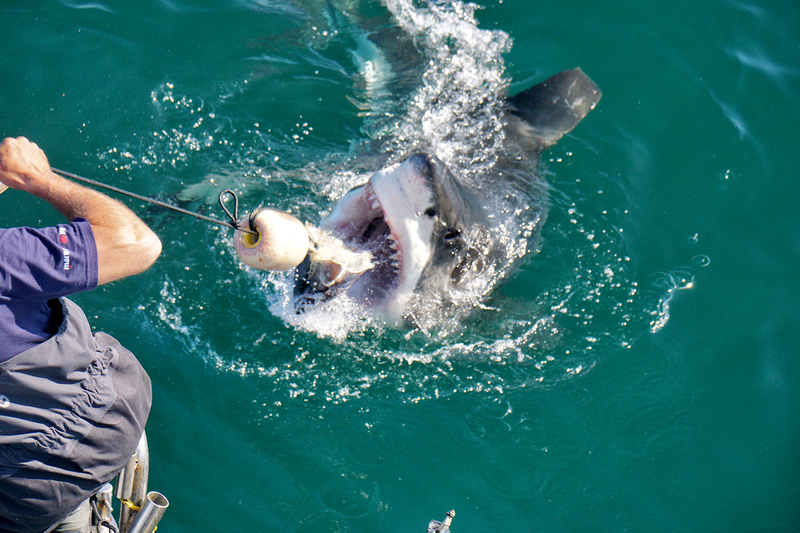 Everyday, Shark Explorers runs a morning trip and an afternoon trip for tourists who want to see great whites in action. The morning trip would leave the dock around 6:30 AM so we would be able to watch sharks feed on seals in the early morning light. By watching the tactics these sharks used to hunt seals, it is easy to see how truly spectacular these animals are. While we were blessed to have great weather on most days we did have a few days where we could not go out on the water. One of these bad weather days we spent driving 3 hours away to go on a game drive. We saw hippos, elephants, giraffes, lions, chetahs, alligators, rhino and my favorite, zebras! This was a very unique experience because it allowed us to see not only another part of South Africa but it gave us the opportunity to learn more about the animals’ roles in African society.